No matter what type of ears your dog has, ear cleaning is a necessary part of your dog’s basic grooming routine. Dogs ears are warm, dark and moist all of which provide the perfect breeding ground for bacteria. Not only that but, some dogs have a lot of hair in their ears. Although ear hair is meant to provide a barrier against foreign objects from getting any further into the ear canal, it can also trap dirt and debris and cause a problem. Foreign objects such as mud or grass seeds can work themselves down into the ear canal and can cause severe issues and sometimes permanent damage. Although some dogs may need their ears cleaned only occasionally others will require more frequent cleaning. Ear infections are common and while ear shape does play a part, with long floppy eared dogs more prone to getting ear infections. Dogs that regularly swim are also more likely to suffer from ear problems. As bacteria like a warm, damp place to grow, lack of air flow in the ear canal is a risk factor. So, dogs with long, heavy ears may need their ears cleaned more often than dogs with upright ears. Despite the outside differences between ears, all dogs share the same basic internal structure. A dog’s ear consists of the three parts; the outer ear, the middle ear and the inner ear. The outer ear is the part we can see. It includes the pinna or ear flap and is extremely sensitive. Within the middle ear is the ear canal. 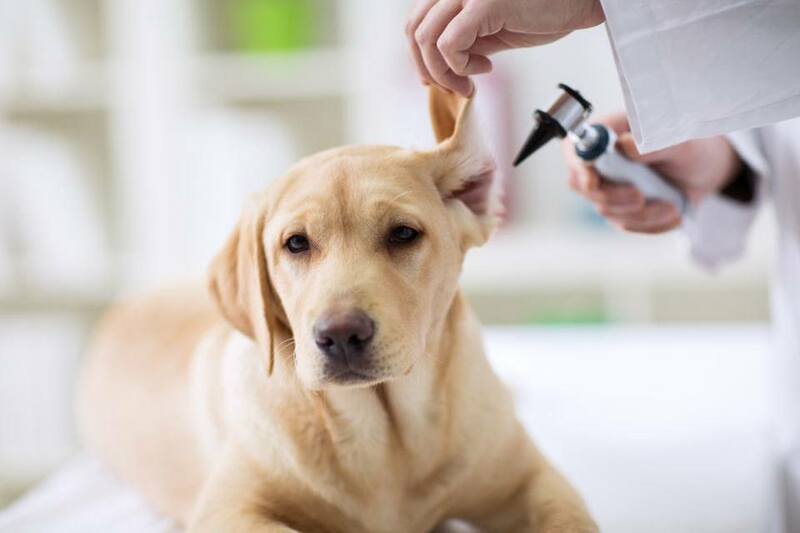 Usually, around five to ten centimetres in length, it starts as a vertical channel before taking a right angle inwards towards the centre of a dogs head ending at the eardrum (tympanic membrane). Finally, the inner ear that includes the cochlea and vestibular system, which are responsible for hearing and balance. Why clean a dog’s ears? Regularly checking your dog’s ears is the easiest way to spot any potential issues before they happen. 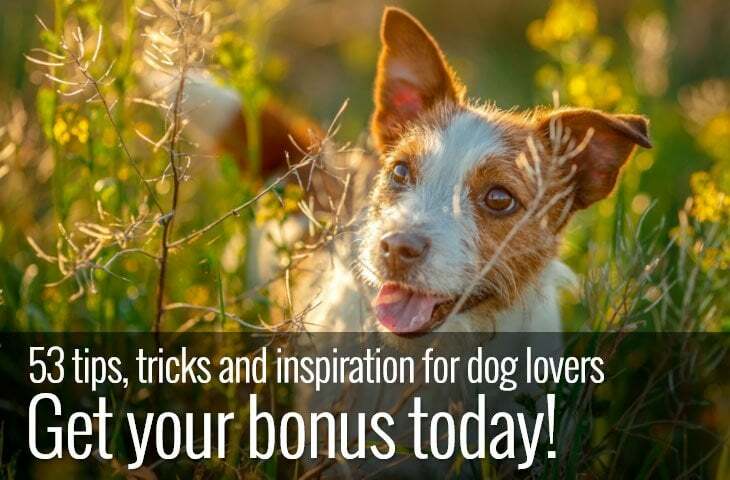 The L shaped structure of a dog’s ear combined with the fur and naturally occurring wax is a magnet for small particles of dirt, debris and even grass seeds. Most often, cleaning the fur and outer flap is enough to keep your dog’s ears healthy. But sometimes a more thorough cleaning is needed. Using either a homemade or commercial ear cleaner enables the whole ear canal to be thoroughly washed removing any foreign objects. While ear cleaning should be a regular part of your dog’s grooming routine, there are times when you shouldn’t attempt to wash your dog’s ears. 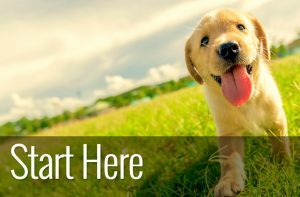 Keeping your dog’s ears free of dirt and debris is a preventative measure against infection. But if your dog already has an infection trying to solve it by cleaning your dog’s ears can make the situation worse. Ear infections are exceptionally painful and can cause permanent damage if left untreated. 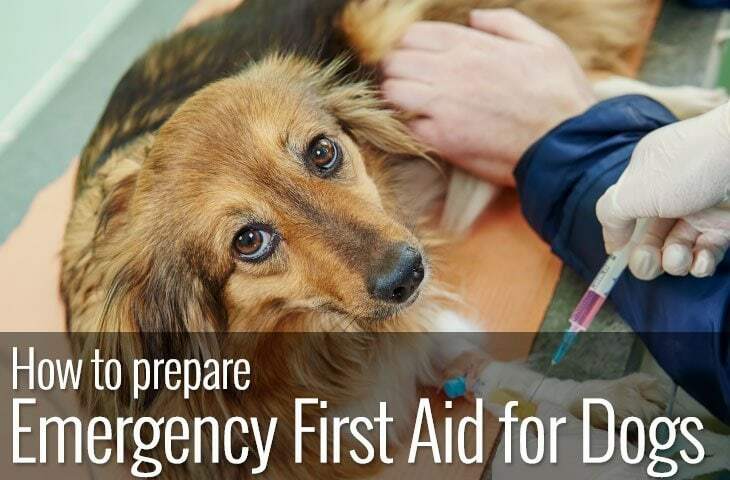 Whether it’s a fungal, bacterial, allergy related or a mite infection your dog will need medical care and most likely a course of antibiotics. If you are using an ear cleaner choose a location that is easy to wipe down because washing ears is a messy business. The only way our dogs have of removing something unpleasant from their ears is to shake their heads. Unfortunately, most dogs don’t like the feel of ear cleaner, so be prepared for some mess. 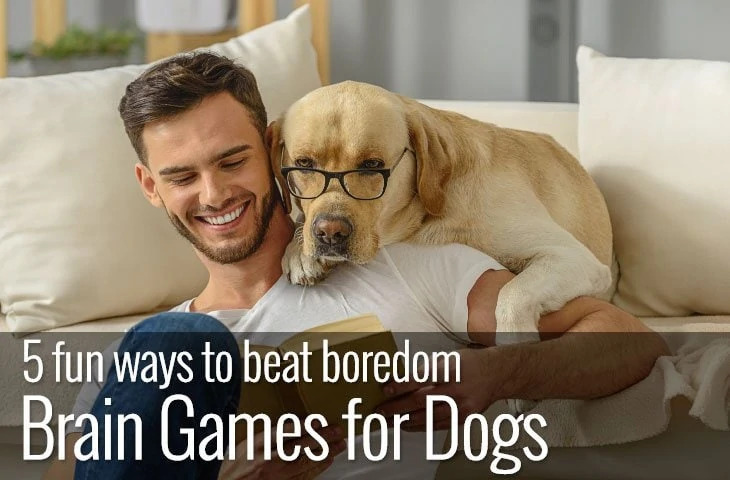 It can be uncomfortable for your dog, so try to make the experience as pleasurable as possible. Although ear rubs are often welcome, having something cold or wet touch such a sensitive area is not. Work up to a full ear cleaning by touching your dog’s ears regularly and treating your dog when you do. The more positive an experience you make ear cleaning, the easier it will be for both of you. Fortunately, you don’t need much. Don’t be tempted to use cotton buds. Not only do they increase the likelihood that you will push wax or debris further into the ear canal. But they are dangerous as your dog is almost sure to move their head while you’re cleaning their ears and cotton buds can damage delicate areas. 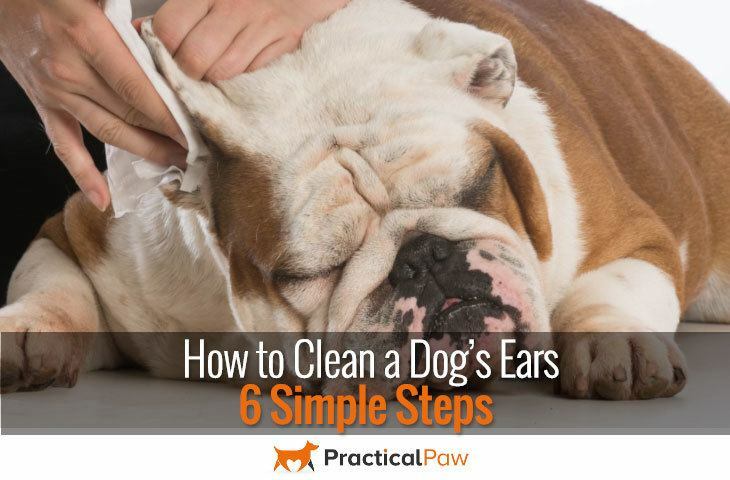 Before you get carried away with the ear cleaner, inspect your dog’s ears thoroughly first. Any signs of redness, unusual discharge or swelling then stop and get medical advice. Some light brown wax is normal but should not be excessive. Lift your dog’s ear and using a cotton ball moistened with ear cleaner wipe away any dirt or debris from the ear flap and entrance to the ear canal. The ear folds are delicate so be gentle and change cotton wall balls as soon as they are dirty. If your dog’s ears need a more in-depth clean, then lift the ear flap and gently squeeze ear cleaner into the ear canal. Don’t put the tip of the bottle into the ear canal itself as this can be sore for your dog. Also, don’t use too much pressure when applying the ear cleaner, you don’t want to frighten your dog or cause any panic. Once the ear cleaner is in your dog’s ear, gently massage the base of your dog’s ear for ten to twenty seconds. Rubbing encourages wax or debris to loosen, and you should hear a squelching sound. Allow your dog to shake. If your dog’s ears still seem dirty, you can repeat the process but only if your dog is happy and just as often as is necessary. Over-cleaning can upset the natural balance of your dog’s skin and make ears sore, dry and painful. Checking your dog’s ears is essential for their health. While some dogs have very little build and may only need an occasional wipe, others will need regular and more intense cleaning. Ear infections in dogs are common. And dogs that love water have long floppy ears or dogs with sensitivities or allergies are more at risk. Routinely examining your dog doesn’t take long but it’s an excellent way of identifying any minor issues before they become much more significant problems.